In 21 case studies, the EUKI project BEACON evaluated national climate policies in European countries. 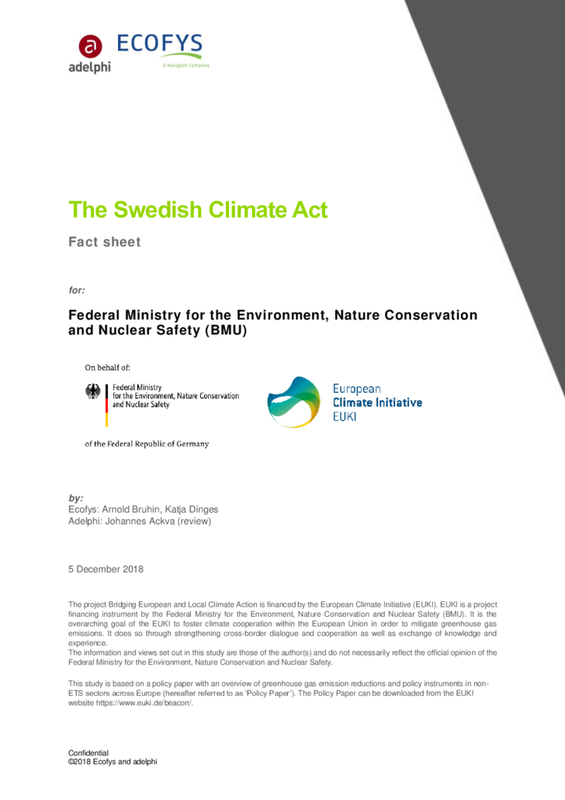 To achieve net-zero-net greenhouse gas emissions by 2045, Sweden’s Climate Act introduced in 2018 establishes an enhanced climate governance framework. The Climate Act stipulates a set of climate reporting obligations for the government, including a climate report to be presented with the yearly budget bill and a requirement to align climate policies and budgetary decisions. Every four years, a climate action plan is to be developed. The climate policy framework is expected to facilitate the adoption of ambitious climate measures and is a key component of Sweden’s efforts to implement the Paris Agreement.